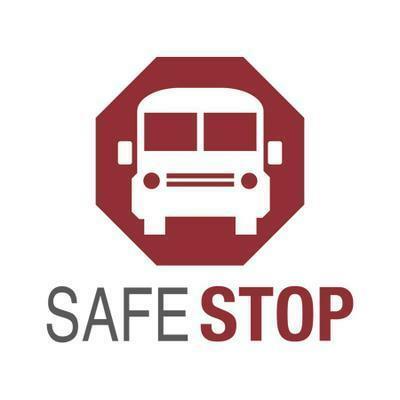 Search "SafeStop" on your Apple or Android device to download the free app. You can also access SafeStop on the web at www.SafeStopApp.com. Select "Create Account," enter your information, and search for your school or district using your ZIP/Postal Code. Locate and select Lexington 02 from the list provided. Enter in at least one valid Student ID to complete your secure registration. Don't know your Student ID? Please reach out to your school's front office. SafeStop will be live and available for use on September 10th. Welcome back! Now, let's get your account back online. Log in to your SafeStop account, then click "Reactive Your Account." From there, just enter your postal code, select Lexington 02, and re-enter your Student IDs to successfully renew your account for the year. Once you log in to your account, select "Add A Bus Stop" and search for your home address. A list of routes with nearby bus stops will appear. Please select your assigned route and bus stop pick up location for your child in both the AM and PM. If you have multiple children, repeat this process for each assigned route and bus stop pick up location. Tap the check mark in the top-right corner to return to your Account home screen. NOTE: SafeStop relies on information provided by the transportation department. Use the Report An App Issue feature to report inaccurate route information. The Alerts & Messaging Center is located in the top right corner of the app, which contains messages and updates from your transportation department. For additional help, email support@SafeStopApp.com or call (800) 843-8936. Report an App Issue: Tap the Settings Icon and select Report An App Issue.